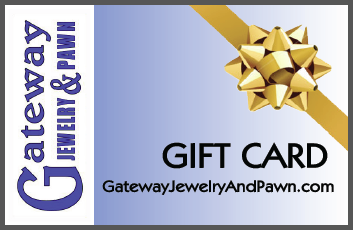 Did you know Gateway Jewelry and Pawn offer gift cards? Perfect for that special someone’s birthday, anniversary, congratulations, thank you gift and more. Just come in and let us know how much you’d like to put towards your card. Gift cards can be used at either our North Ave. or Atlanta Hwy. Store.